Having attended the Midleton Library launch of Peter O’Shea’s book Murder Most Local, which recounts the stories of murders in East Cork from the early 1730s to the 1930s, I thought I’d bring the story back further. Peter noted that, thankfully, East Cork seemed to have been a lot less murderous than West Cork for which several volumes could be written just on the subject of local murder alone! Let’s look at the introductory statement again – a murdered man on a black horse. These are very specific details. How did the local people know the man had been murdered? There seem to be no visible or gruesome details in the story. What about the ‘black horse’? Why specifically that colour? Even in the 1940s, before rural electrification, a brown or dun coloured horse would look black at night, but the detail is remarkably clear – the horse was definitely black. The trouble with folklore is that it can be annoyingly unspecific and therefore difficult to pin down. Folklorists generally agree that such stories as the one noted above may contain a garbled verbal memory of something that happened ‘long ago.’ The challenge is to identify a specific incident that may be referred to in the local folklore. In the case under discussion, we may actually have an incident that is recalled in the warning – but we have to go back several centuries to a very turbulent period. For our purpose I suggest that we can safely dismiss any association between the murdered man on his black horse with the tale previously recounted here of the 1182 massacre at Mogeely of the Anglo-Norman invaders Milo de Cogan and Ralph son of Robert FitzStephen. That story deals with the massacre of several men, whereas our folklore tale refers to just one man. There is, however, a slightly more recent alternative incident more directly attached to the Churchtown-Mogeely road which may have given rise to the ‘murdered man on his black horse’. The story starts in Ulster in 1641. Sir Phelim O’Neill and his co-conspirators organised a savage anti-Protestant rebellion. The rebellion was really about land and the fact that since the beginning of the 1600s most of the land in Ulster was confiscated from the overwhelmingly Catholic natives and granted to English and Scottish Protestant settlers. O’Neill’s rebellion was marked by murder and atrocities as well as robbery. 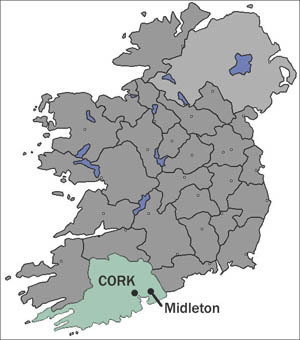 By early 1642 the Ulster rebellion had spread countrywide, even into east Cork. In December 1641 the government of King Charles I set up the Commission for the Despoiled Subject to investigate the ‘disturbances’. The chairman of the Commission was the Rev Henry Jones, Dean of Kilmore, who was soon appointed Bishop of Clogher. The Commissioners quickly realised that many of the refugees from Munster were unable to get to Dublin and report to the commission, so Philip Bisse (or Bysse), the (Protestant) Archdeacon of Cloyne was appointed to take the depositions from those Protestants who had suffered in Munster. Bisse had to travel about the province to take the depositions from refugees. Unfortunately, it was a mission which cost him his life. Note that Mrs Danvers account says that the incident happened near Cor Abbey (now Midleton). But how do we know it was the Mogeely road, now designated L3627? Well, this was the main road from Cork to Youghal at the time for the stretch of the modern N25 between Churchtown North and Castlemartyr was only laid out in the later 18th century. Elizabeth says that Bisse’s body was left unburied by the roadside, an appalling prospect in a highly religious age. In a more superstitious age this was likely to lead to the road being haunted by the victim’s ghost. Elizabeth Danvers made her 1645 deposition before the head of the Commission….Henry Jones, who was now the Bishop of Clogher. ….to the deponent (Maurice Brown), that hee was in Companie, with one John DrumAdda (John of Dromadda?) and others, who slew divers (i.e. several) English men, within fourteen dayes betweene Curr Abbey and Youghall. 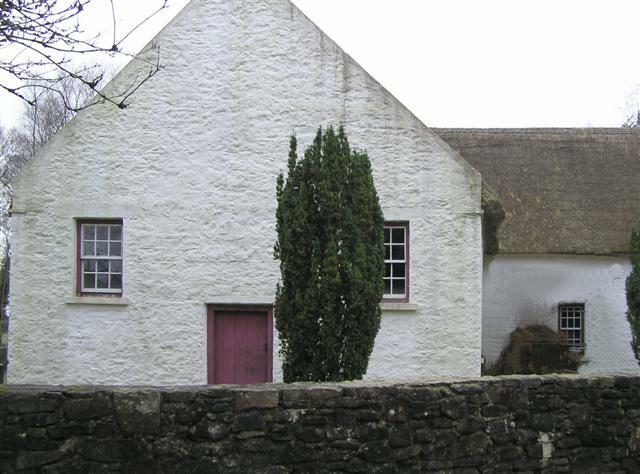 According to the Down Survey, the townland of Dromaddamore (near Ladysbridge) was owned by Garrett Fitzgerald in 1641, while Dromaddabeg (also near Ladysbridge) was held by William Power of Shanagarry. We don’t know if John ‘DrumAdda’ was related to either man. So, is the murdered man on the black horse the ghost of Philip Bisse, Archdeacon of Cloyne? It seems most likely that it was. After all, Elizabeth Danvers says that he encountered several rebels on the road, who promptly murdered him. They probably stole is valuable horse to boot. We have no idea of David Connell or John of Dromadda were every punished for the murders committed on the road between Corabby and Youghal in 1643. The same road where the Archdeacon was murdered is still used as an alternative route between Cork and Youghal whenever the N25 is blocked or impassable. ‘…mean thatched cabins…….’ The Masshouses in South East Cork in 1731. Penal laws against the Catholic Church had existed in Ireland since the reign of Elizabeth I, but the most infamous laws were passed by the Irish Parliament in the 1690s into the early 1700s. These words are from the official return made to the Irish government in December 1731 by Henry Maule, Bishop of Cloyne in the Established Church (Church of Ireland). The Irish House of Lords had ordered an inquiry into the ‘State of Popery’ in Ireland and each bishop was required to submit detailed returns. 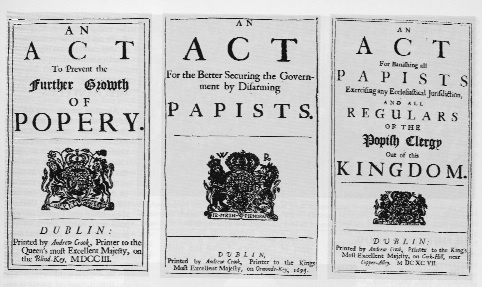 The House of Lords wished to know how effective the Penal Laws enacted since 1693 had been in curtailing the practice of Catholicism.There were a number of restrictions imposed by these laws. Catholics couldn’t build a place of worship that looked like a church, it couldn’t be located in sight of a church or beside a main road, and it couldn’t have a bell or belfry. 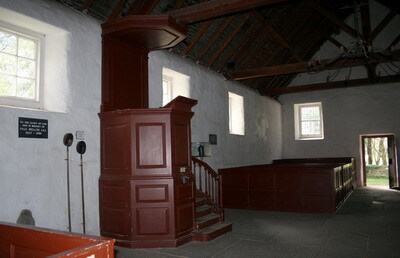 Interior of Mountjoy Presbyterian Meeting House in the Ulster American Folk Park gives an idea of the similarity to the Masshouses of the period, except for the dominant pulpit and box pews. Presbyterian marriages were not recognized by law, although Catholic marriages were actually recognized. Such were the bizarre anomalies of the Penal Laws. Maule’s returns were published in the Journal of the Cork Historical and Archaeological Society in 1893. This publication proved fortuitous because the original returns were kept in the Public Record Office until until its destruction at the outset of the Irish Civil War in 1922. We owe a debt of gratitude to Rev Fr Patrick Hurley, PP Inchigeela, for publishing this document before the fire at the Public Records Office. . 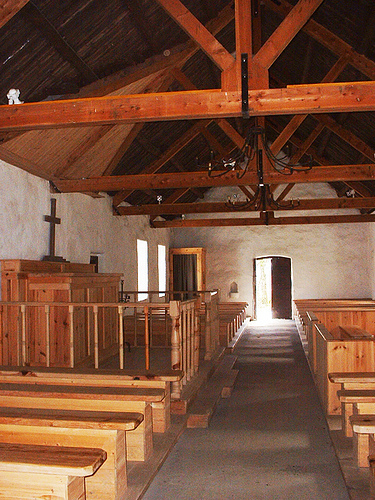 In his report accompanying the returns, Maule noted that ‘It appears,then, from the Returns made by the Clergy that there are seventy Masshouses in the Diocese of Cloyne.’ He goes on to say that ‘The reputed Popish Priests officiating in these Masshouses are reckoned to be ninety-two.‘ In respect of the masshouses Bishop Maule noted that ‘Some new Masshouses have been attempted to be raised about three years ago, particularly at Cloyne and Charleville, within view of the Churches of those towns, and where no Masshouses were before. But the finishing of the same has been hitherto prevented by the care of the respective Magistrates of these places.‘ Here is clear evidence that in some locations Catholics had difficulty erecting a shelter for the altar so that they could celebrate Mass. It was a very hit and miss business – some landlords and magistrates allowed masshouses on their land, even new ones or the repair of old ones. Others simply refused to allow them – the Brodricks of Midleton were noted in this respect. 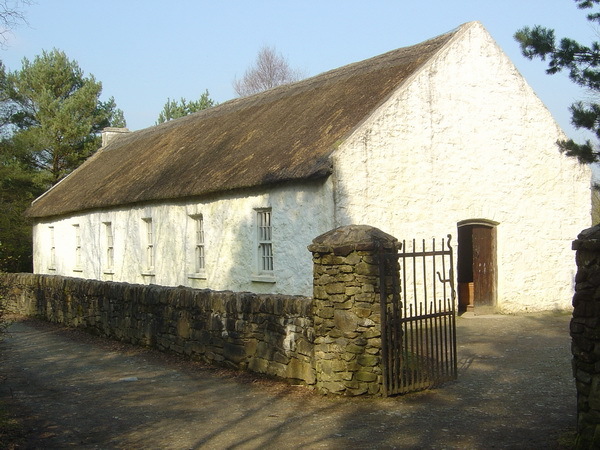 Bishop Maule also noted the absence of nunneries in the diocese, but he did record that one old Franciscan friar inhabited a thatched house adjoining the ‘Abbey of Buttevant‘ near Mallow. However, Maule noted that ‘strolling vagabond Friars‘ from Aglish in County Waterford, Kilcrea near Cork, Kinsale friary and even from Killarney in County Kerry regularly visited the diocese, to ‘do much mischief.’ This ‘mischief‘ included confirming ‘the Papists in their superstition and errors‘, marrying ‘Protestants to Papists contrary to Law‘, they haunted ‘the sick beds, even of Protestants; they endeavour to pervert them from our holy Religion‘, and finally ‘they are become greatly obnoxious even to the Papists themselves‘. In all, Henry Maule calculated that there were 14,200 ‘Protestant souls‘ and 80,500 ‘Popish souls‘ in his diocese, reckoning at six to a family for both figures. There were 47 Protestant clergy and 92 Catholic clergy with one friar to serve these populations. The diocese could boast 44 churches in repair for use by the Established Church (compared with the 70 masshouses identified in the returns). An inspection of the parishes in Imokilly and Barrymore might give an idea of the conditions that Catholics faced throughout Ireland in observing their religion before 1750. The parishes are identified by their Anglican designation at the time. The words and spelling are those of Bishop Henry Maule. Here the parishes are here set out in alphabetical order. Castlemartyr: no open Masshouse. One reputed Popish Priest. Dongorney: one Masshouse, One Popish Priest. Lisgoold:one Masshouse. One Popish Priest. Rathcormack: one Masshouse. Two Popish Priests. Source: Rev. Patrick Hurley PP, ‘The Past History of the Diocese of Cork’ in The Journal of the Cork Historical and Archaeological Society, Vol II a, Part III, 1893.